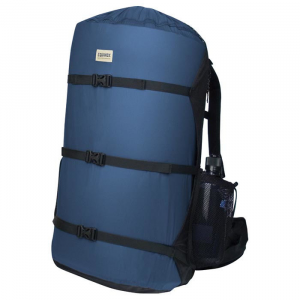 The HMG Windrider is a lightweight, super comfortable, and durable pack, that is adaptable for a wide range of adventures. The most comfortable pack I have owned! 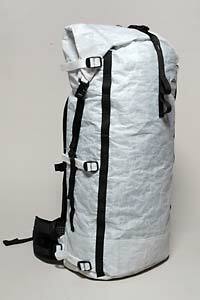 Me and my wife both bought a matching pair of HMG Windrider 3400 packs for our expedition to walk across Iceland. Having learnt a lot more about packs and ultralight gear during our 2012 PCT thru-hike, I had wittled our replacement packs down to a few brands. 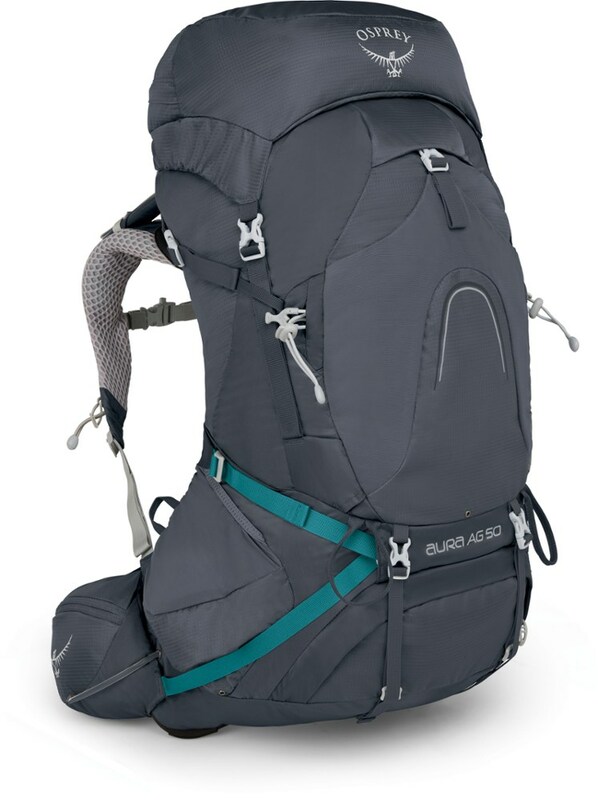 The HMG packs stood out as being the right balance of weight, waterproof-ness, and durability. Living in the UK, it was impossible to find anyone with one of these packs to try out in the flash, so it was a bit of a gamble buying them unseen. When they arrived, I knew I had made the right decision. Throughout our 400-mile Iceland crossing, we kept commenting on how comfortable they were. We never got the shoulder pain we had with other packs on thru hikes, despite carrying up to 8 days of food and a lot of water. 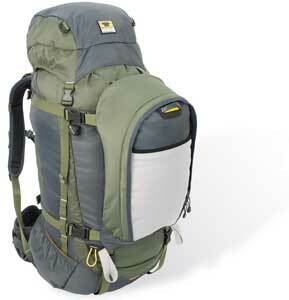 The simple design also allows the pack to expand or contract hugely depending on your needs. The outer mesh expands to allow a huge amount to be packed in. Having said this, we may have pushed it a little too far as the elastic has lost a little of its elasticity. I would not hesitate to buy another HMG pack! 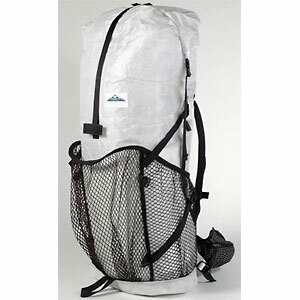 In-fact I am intending to buy a summit pack for day hikes, weekend camps, and mountaineering. The packs are even more desirable now the new look logo is on them! Welcome to Trailspace, Alasair! Your Iceland trek sounds like fun. I'd love to see some pictures in your review of your packs in action. How much weight did you and your wife carry in them? 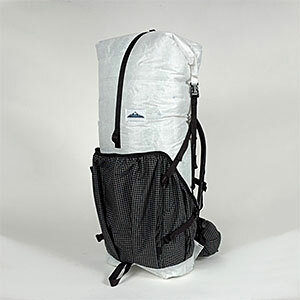 In planning for our trip to the West Coast Trail, we were wanting to try to be ultra light in a packing. 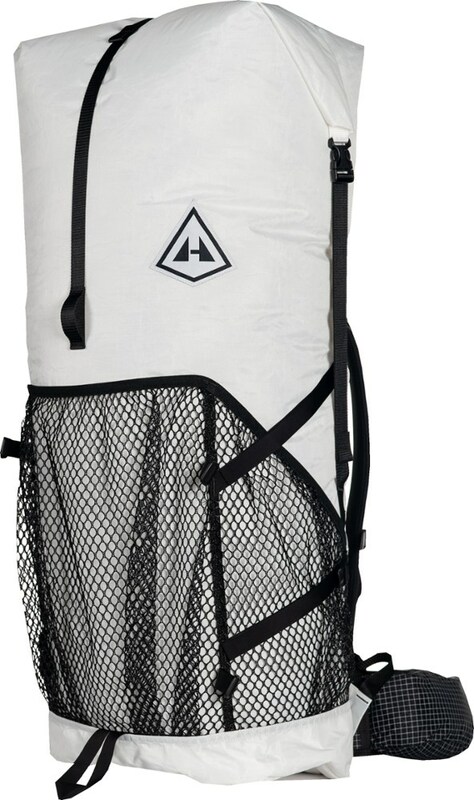 After much research I settled on the Hyperlite product. After a phone call with Mike and talking over how I was going to use the pack he said they could do a Windrider 3400cu. At the time this was not on their website. It is a Porter with all the extras of the Windrider. My first trip trying to be ultra light wasn't too bad. We planned to be on trail for 6 days. I"m 6'1" and at the time weighed 225. My base pack was 14 pounds and with food, it put me a little over 20 pounds. The pack held up great and I had no issues. In fact, since I had little cuben bags from Hyperliite for all my all items, that I was one of quickest to unpack and pack everyday. As the food was consumed, it was like I wasn't carrying on the last days. Everyone I encountered on the trip noticed the White pack and asked about it. I'm no salesmen, but when I like something, I can give the pitch. I did my best to enthusiastically (gift of the gab as Mike had found out during my phone call with him) explain the product. Before this gets too long, I can't say enough about their products. I will be using / purchasing more when my family is old enough to do some trips.